Protection performance demonstrated live: the HOPLIT F 1100H (VPAM 4+) with FORTIS front shield and new VPAM-6 visor put under fire by a Kalashnikov assault rifle in Güstrow. Schwanenstadt (Austria) / Güstrow – The titanium helmet manufacturer ULBRICHTS Protection has demonstrated the efficiency of its products in Güstrow in Mecklenburg-Vorpommern. Before around 200 members of special units from Europe and the USA, a titanium aramid helmet (VPAM 4+) was put under fire from a Kalashnikov-type assault rifle. To achieve the new VPAM 6 level of protection, the helmet shell is reinforced by two new modules. On the one hand, the FORTIS front shield was strengthened in the forehead area, and on the other, a prototype of the world’s first VPAM 6 visor was used publicly for the first time. The Kalashnikov was loaded with the widely used and particularly powerful 7.62 x 39 calibre iron core ammunition. 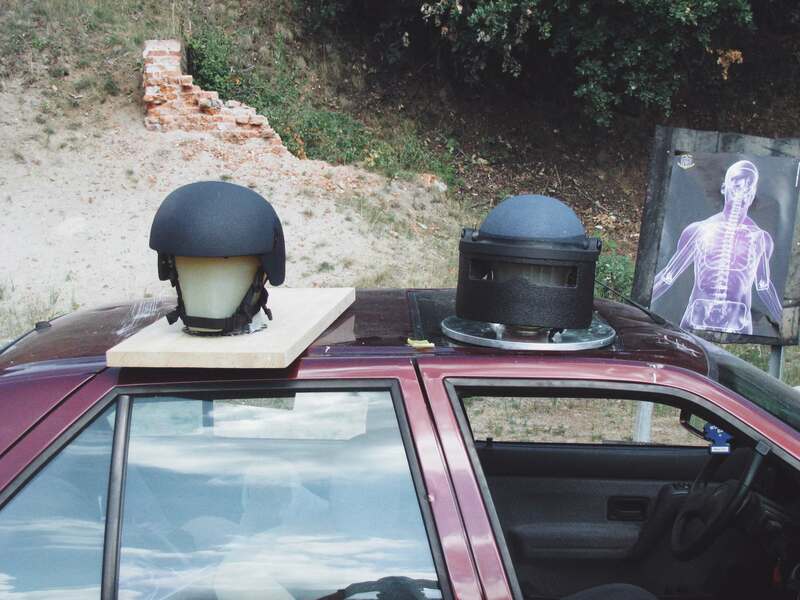 The result of the live demonstration: both a hit in the forehead and a hit in the face were stopped and in addition a deadly injury of over 25 joules to the helmet carrier clearly prevented. Both additional components are capable of reliably reducing the enormous firepower of a Kalashnikov of over 2,000 joules and a projectile speed of around 720 metres per second to well below 25 joules – making a frontal head shot survivable. In order to illustrate the effectiveness of ULBRICHTS high-tech head protection, the helmet was placed on a soap head. Identical soap heads are also used in official shooting tests to measure the residual energy transferred to the head. In the forehead and face areas, barely perceptible deformations were visible in the soap head, which corresponds to a low residual energy of under 5 joules. The Güstrow result therefore almost corresponds to the official test done by the Beschussamt Mellrichstadt (Mellrichstadt Ballistics Department) which already exists for the FORTIS head shield. 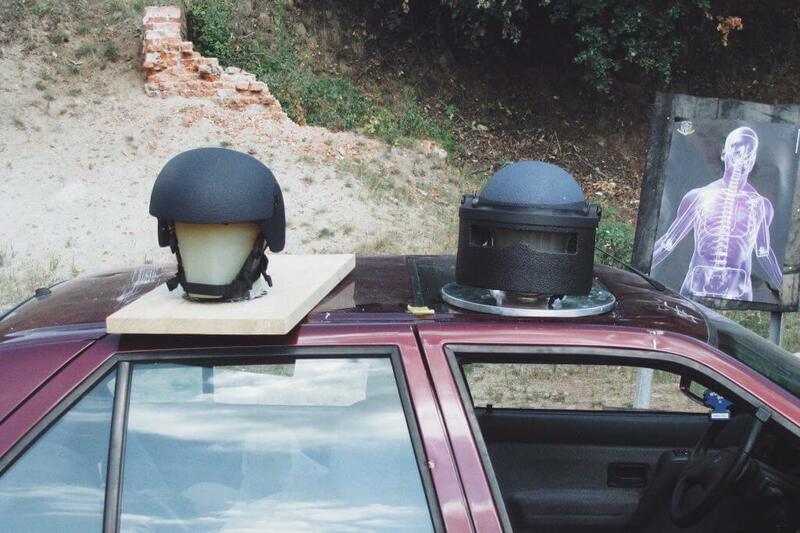 Stopping the projectile is the task, while the survival criterion is to get below the maximum residual energy value of 25 joules in accordance with the VPAM HVN 2009 guideline – since that is the only way to ensure effective ballistic head protection. On the third day of the workshop, the various special units competed against each other in various exercises. This year, ULBRICHTS Protection sponsored the Extra Challenge, when teams of two officers had to master a parkour with various obstacles and target practice – well protected by a HOPLIT F 1000 Hybrid ULBRICHTS titanium helmet (VPAM 4+). The prize for the winners of the ULBRICHTS Challenge was a ZENTURIO model Special Deployment Commando titanium helmet with a very special paint finish. This unique piece was made by Formula 1 helmet designer Jens Munser and was specially designed for this occasion. The helmet shell incorporates different symbolic design elements relating to the police, such as the “thin blue line” as a distinctive and internationally known mark for policemen. The colour blue stands for the individual officer who separates the “good” lower part from the “bad” upper part and puts his life on the line when it gets dangerous. Another notable feature is the incorporated motifs of Milpicture photographer Tom Weber on both sides of the helmet. “Special Forces officers operate at the highest tactical and physical levels in this area, much like Formula 1 drivers. 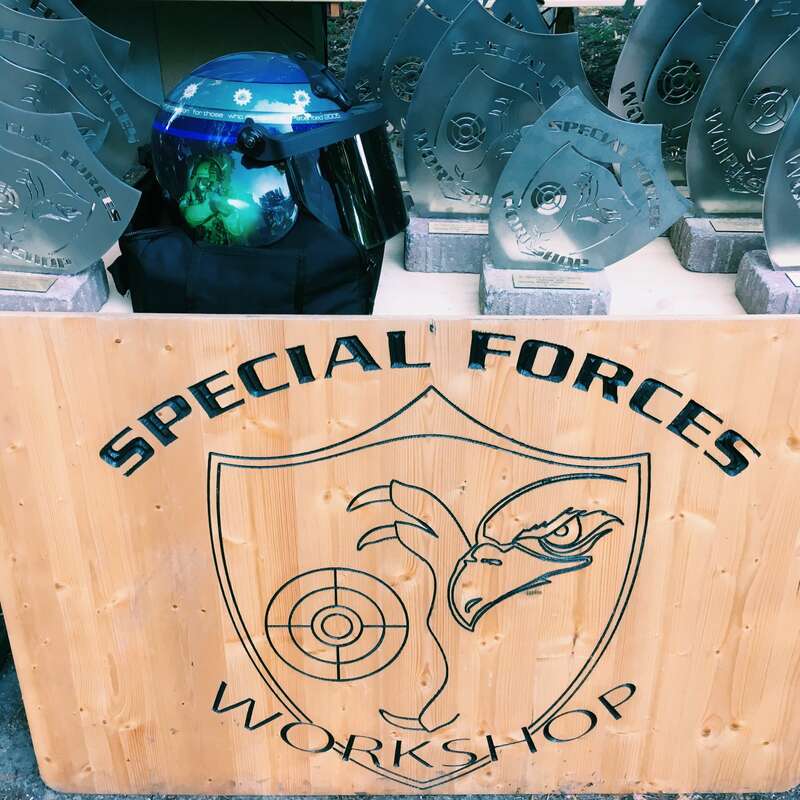 With this special ZENTURIO, we not only wanted to reward the performance of the best team in our Challenge, but also to recognise the commitment of all special forces,” said Lothar Schuster, Strategic Account Manager at ULBRICHTS Protection. From now on, this extraordinary titanium helmet will be awarded annually as a challenge cup. It will be held by a South German Special Deployment Commando until the Special Forces Workshop next year. The Special Forces Workshop took place from 23 July to 25 July 2018 in Güstrow and was held for the tenth time this year. It was organised by Baltic Shooters – Frank Thiel and the State Criminal Canal Mecklenburg-Vorpommern.